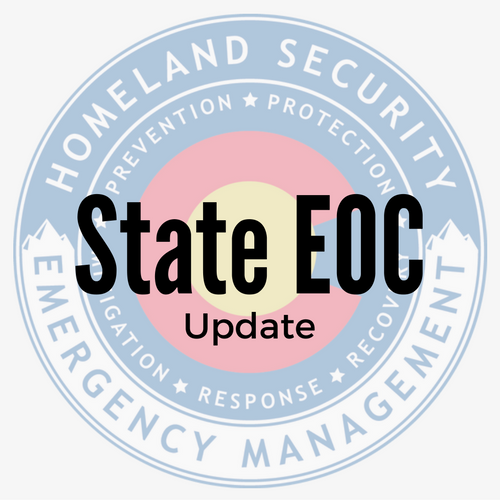 The State Emergency Operations Center (SEOC) was activated at 8 a.m.today in support of the winter storm across Colorado. The SEOC was activated at Level III. This means selected DHSEM staff actively monitor the on-going incident. Command and General Staff will occupy positions in the SEOC. Emergency Response Coordinators (ERC) and State agency representatives do not need to report to the SEOC and should continue monitoring virtually and be prepared to report as requested. 2. Be prepared to provide resources to local jurisdictions upon request through established mission assignment and financial process in an effort to conduct a coordinated State-level response. 4. Assist in the development and coordination of State-level messaging and provide support to local Joint Information Centers, as necessary. State EOC Planning Meeting on January 4, 2017.